Orthodontics is a specialization of dental medicine which deals with treatment of functional and aesthetical dental anomalies. Orthodontic treatment is performed by a specialized orthodontist, who suggests you the treatment plan based on consultation visit and initial examination. The treatment is performed by using fixed or removable appliances depending on the complexity of the anomaly. An alternative option is by using Invisalign aligners. During the treatment it is necessary to cooperate with your dentist. The treatment of more complex dental anomalies requires more time and it is necessary to cooperate with other specialists, such as implantologists and maxilo-facial surgeons. 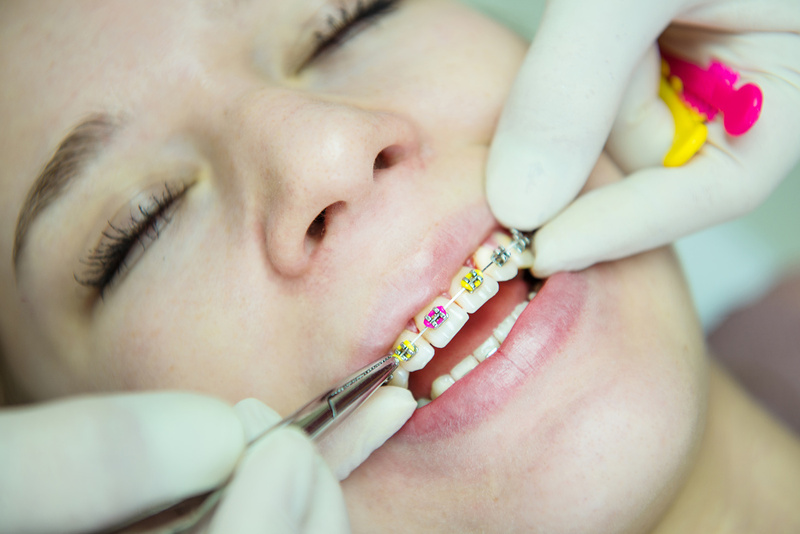 It is the first visit, during which the orthodontist examines the position of the teeth and dental arches. You will be provided with the information about treatment and we will propose you the most suitable one. 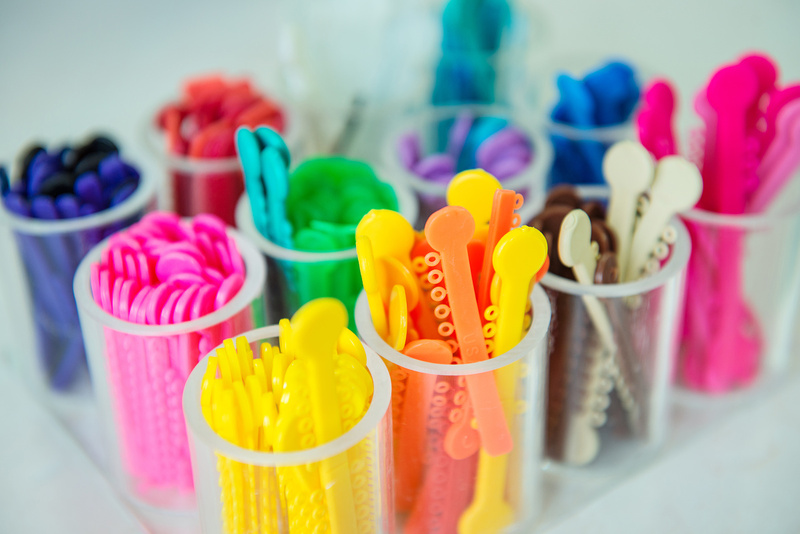 Apart from that, you will be informed about conditions required for orthodontic treatment. The dental hygienist will train you on how to clean your teeth and recommend you which toothbrushes and accessories to use. Professional cleaning of the teeth will also be provided. During this visit, the orthodontist will present you with a detailed plan of the treatment, which is prepared based on the outcomes of the initial examination. He will give you information on the treatment course, approximate time of the treatment and price. The treatment by one of the selected methods follows afterwards. During the treatment, you will be required to come for regular visits. During this visit we will place separating rubbers between for 5-7 days in order to separate teeth from each other. Check of dental hygiene is also performed during this visit. The fixed appliances are put on during this visit. Before the actual putting on, the surface of the teeth is carefully cleaned and the appropriate bonds are selected and bonded with cement. Afterwards, the brackets are put on and bonded by glue and UV lamp. These brackets stay on teeth during the entire treatment phase. Each bracket contains groove in which the wire is placed and ligated by elastic or metal ligatures. One of the conditions of successful treatment is to come for regular visits. These take place every 4-6 weeks, but this depends on the treatment progress and the condition of teeth and gums. During the treatment it is recommended to visit the dental hygienist regularly. During these visits the wire and ligatures are replaced. Patients who have not attended visits for a long time and are without supervision of an orthodontist, the costs and treatment time increases. After the planned outcome of the treatment is reached and the and the position of the teeth is satisfactory, the fixed appliances are taken down. Before taking down, a tiny wire called “bonded retainer” is glued to the back of the teeth and then the brackets and bands are taken down. Thereafter the remainders of the glue are cleaned and the teeth are cleaned by a special toothpaste. Then impressions of the teeth are taken so that we can prepare retainers for stabilization of the treatment outcome. If the treatment of children is performed by removable appliances, you will be provided with the appliance during the first visit and you will be given all the information on how to use it and how to perform dental hygiene. The screw in the removable appliance should be tighten regularly according to the instructions of the orthodontist. Therefore, the cooperation between child, parents and orthodontist is necessary for successful and effective treatment progress. For children, who are treated by the removable appliances, the visits are scheduled every 8-10 weeks. During these visits the assessment of teeth, gums and position of dental arches is performed. Retention is an important part of the orthodontic treatment as the teeth tend to return to their original position after the treatment is finished. The retention phase should be twice as long as the actual treatment phase. 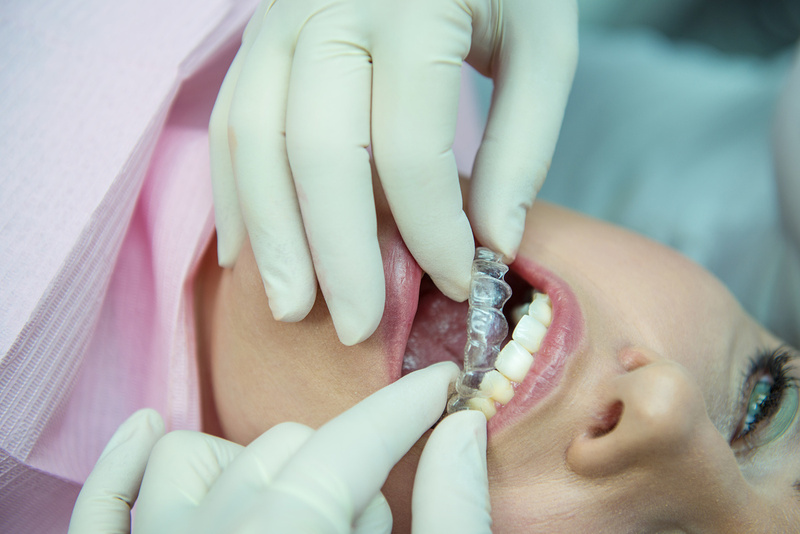 Bonded retainer and retainers should be checked regularly. The first retention visit is scheduled a month after the end of the treatment. The next visits are then scheduled every half year.